A proposal that could ban the sale of most “flushable” sanitary wipes in New York City stores is set to be heard by the City Council next week. The bill would also prohibit labeling the wipes as flushable unless they’ve passed a test approved by the city Department of Environmental Protection. 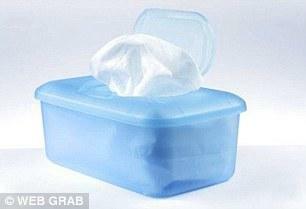 Go green with this alternative to flushable wipes. Simply spray a little Aquinelle (which contains soothing ingredients, including aloe vera and witch hazel) on dry toilet paper and presto, it's ready to use. 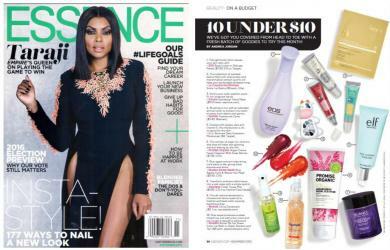 The travel size fits easily in a purse and works great on sticky hands too. No wipes? No problem. Aquinelle transforms even the most basic two-ply paper into a luxuriously clean experience for your bum. Seriously–the TP spray comes in a variety of spa-worthy scents, like Ocean Breeze and Island Mist. If you're anything like me, IBD can make you feel unclean and a little less than fresh after a trip to the toilet. Plus to top it off, you can really make yourself sore by the constant wiping when trying to make sure you're clean. So I tend to carry with me a packet of wet toilet wipes. They're a little embarrassing to carry - for starters they say 'toilet training wipes' on the front of the pack so if anyone does see them, it looks like I have a severe issue of incontencance or some form of inability to use a loo! Plus they're quite bulky (so no little girlie bags!) and the seal doesn't always seal! So therefore they dry out, but not before wetting whatever else I happen to have in my bag. Consumers who have come to love wet wipes now have a substitute that is better for the environment and the fresher way to go, according to independent personal care brand Aquinelle. Its new Toilet Tissue Mist ($4.99-$19.99) is said to transform ordinary toilet paper with one spritz into a refreshing cleanser. 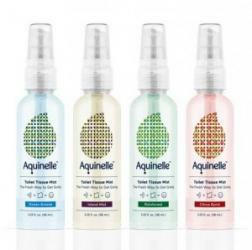 The concept for Aquinelle came about nearly two years ago when Joe Kassin, the company’s founder and CEO, had one too many clogged drainpipes. As a father of seven and grandfather of four, he experienced many incidents of wipes backing up his house’s plumbing system. A business man and entrepreneur at heart, Kassin began to experiment in his bathroom with different solutions for this problem. His bathroom began to look more like a science lab but it was here that Kassin came up with the idea for Aquinelle. This scented spray turns toilet paper tissues into body wipes in a convenient instant, providing people with immediate cleanliness and moisturization anywhere. While wet wipes can often just be thought of for babies and children, the market is seeing a change and more of a social acceptance in adult body wipes. For instance, 'Dude Wipes,' the body wipes specifically marketed for men, were recently supported by the Shark Tank business leaders. 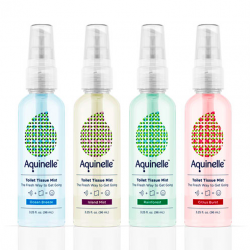 Traveling throughout the month of September, I was most asked about my Aquinelle Toilet Tissue Mist since I took my travel-sized bottle of it with me wherever I stayed. 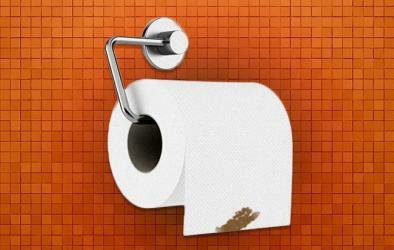 It’s an eco-friendly and money saving alternative to flushable wipes. 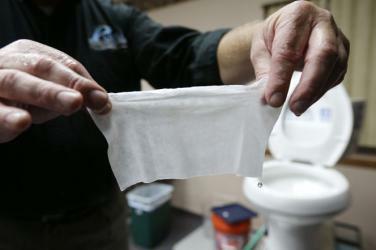 FYI, flushable wipes don’t break down easily and over time can cause clogging and severe damage to sewer systems. 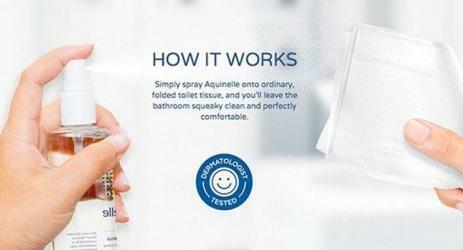 Aquinelle transforms ordinary toilet paper into a cleanser with just one spritz. 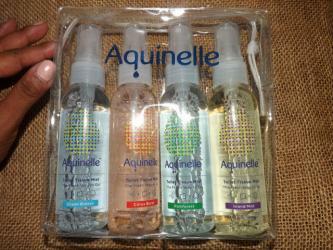 Aquinelle is available in four amazing scents including Citrus Burst, Island Mist, Ocean Breeze and Rainforest. Aquinelle comes in full-size bottles and travel size bottles. 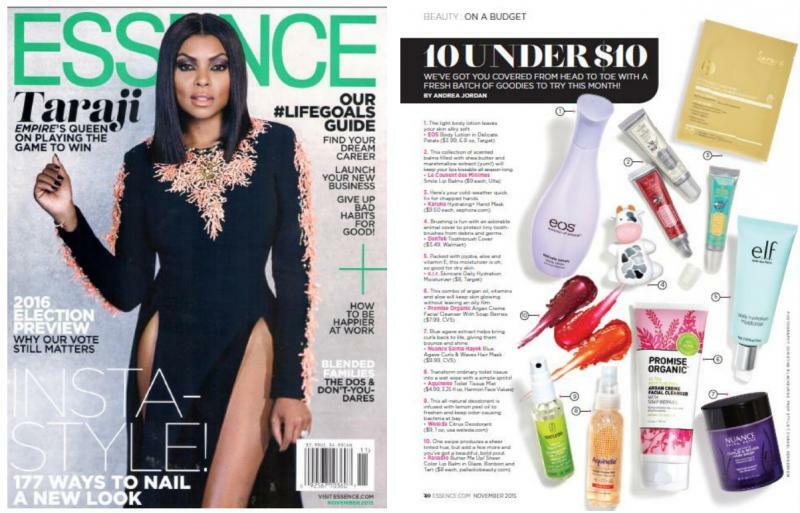 It’s made in the USA, hypoallergenic, dermatologist tested and safe for the whole family to use. 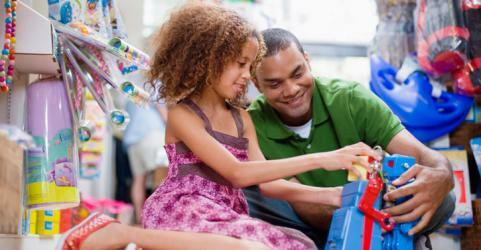 Why parents need it: Big kids often don’t wipe thoroughly enough, but they think they’re too grown up to use wipes. Why kids will love it: It smells great, it’s easy to use, and it doesn’t feel as if it’s for babies. Savings tip: One pump on a wad of toilet paper is all you need. The bottle will last for ages, and toilet paper is much cheaper than wipes. The Northeast is a beautiful this time of year: with the leaves falling, it attracts tourists traveling from all over the country to see the leaves change color and coat the dewy grass. Well with travel, comes long car rides, airplanes, buses, and trains. Being a homegrown Boston boy, entertainment and lifestyle expert Josh McBride has put together a list of the travel must haves for this busy time of the year from favorite destinations to the latest travel gadgets to great ways to get away. 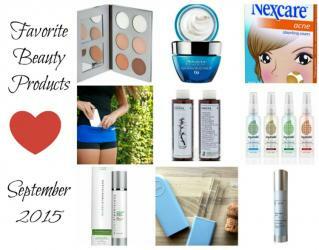 NYFW Essentials Survival Guide For Travel, Beauty, & More! I cannot go to the bathroom without washing EVERY TIME (even if it means taking a cup with me into the stall when necessary - it's a must!) As soon as reps for the brand sent me these amazing personal mists, I was hooked. 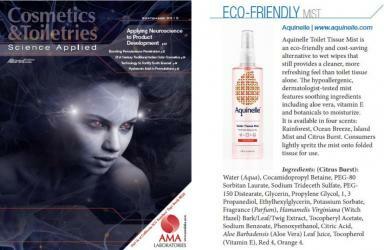 Aquinell is hypoallergenic, dermatologist tested and safe to use by the entire family!